Discount type can be set by percentage or by price. Discount will appear in both bill and item discount. 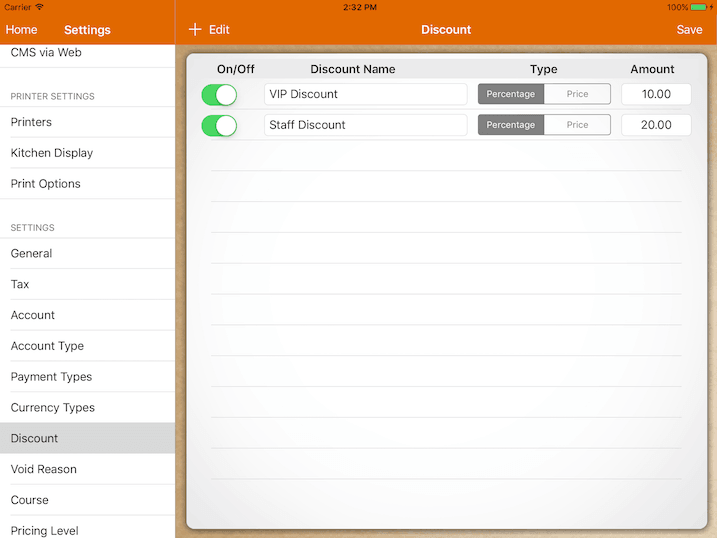 Discount report will show the discount given for each discount setup.